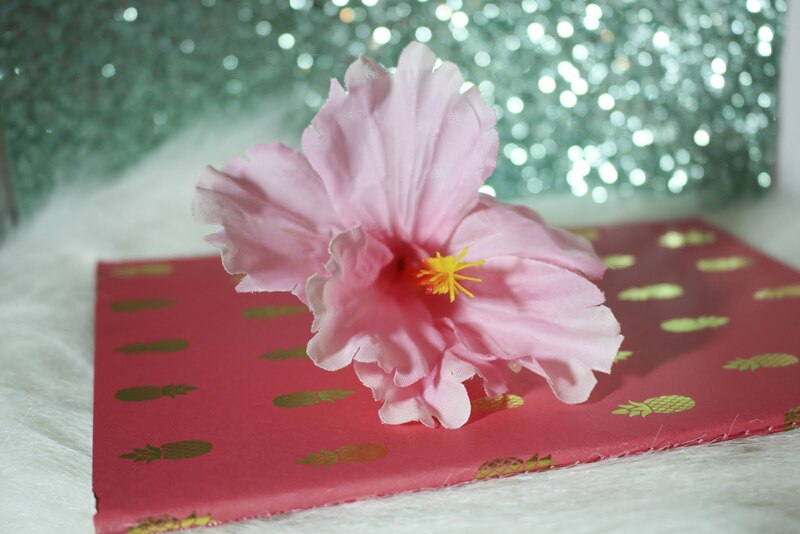 I'm back at cha with an easy simple and fun DIY! 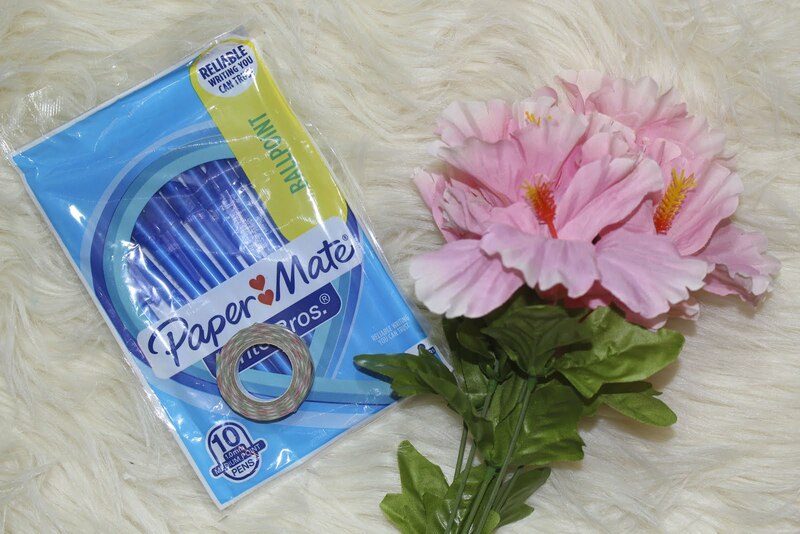 I actually learned how to make these DIY Flower pens when I was in 8th grade. 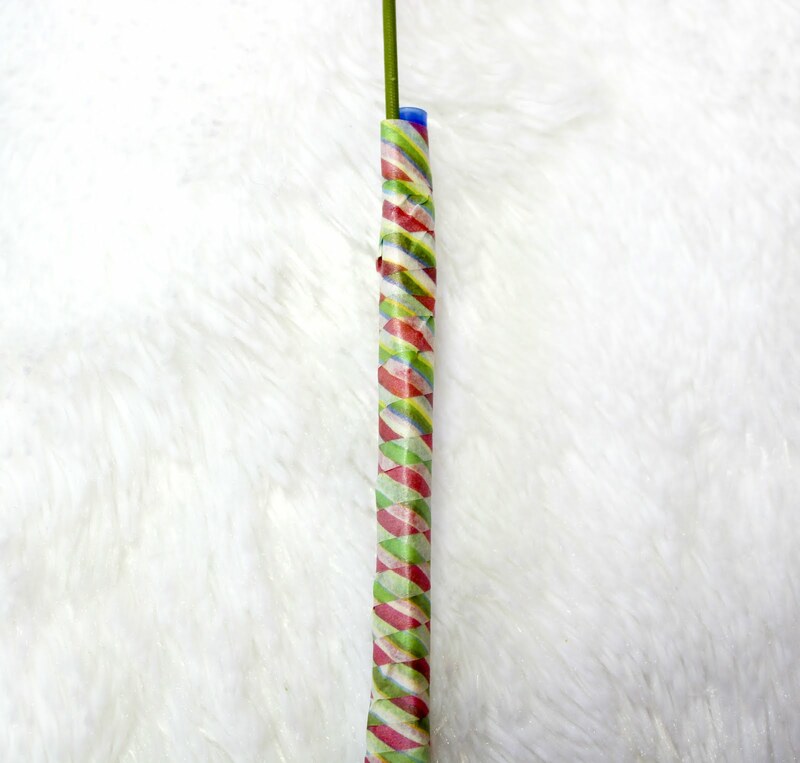 Wow, I feel old... anyway, my yearbook teacher taught us how to make these and they are seriously the easiest things to make. 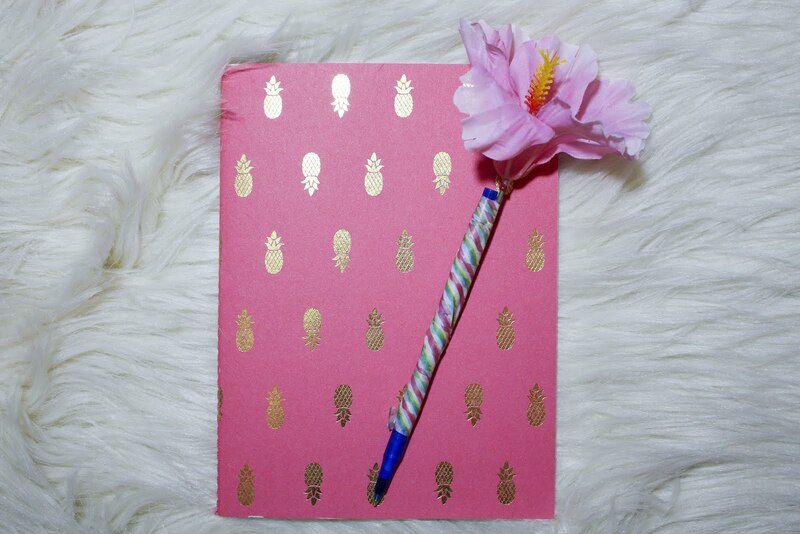 I hope you enjoy this DIY! 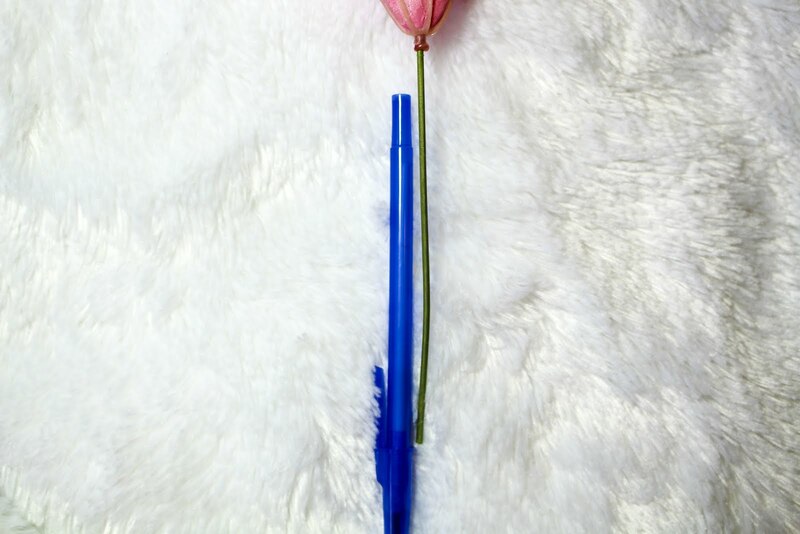 To begin, line up your flower with the pen in a position where the cap of the pen can still be put on the pen. 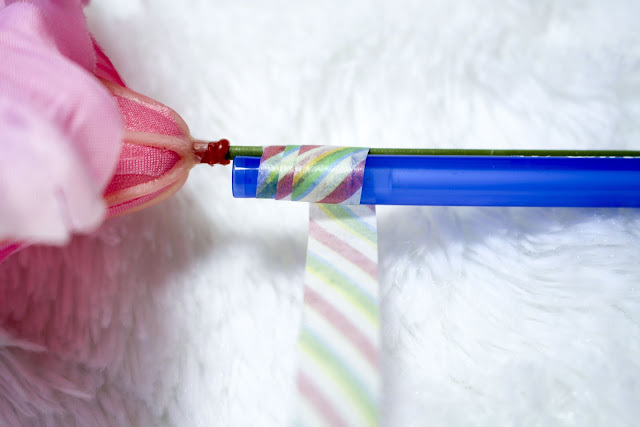 Next, take your washi tape and start to wrap it around the pen and flower. You may need to do two layers. And that's it! 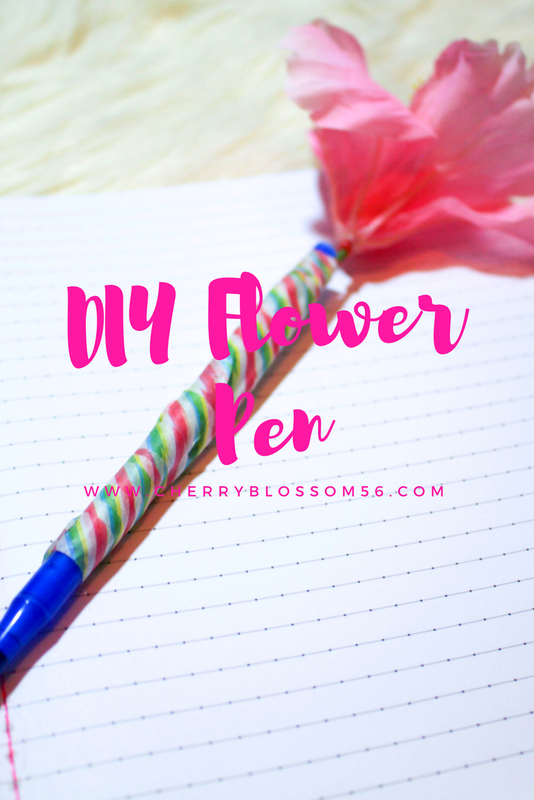 I know this is even simpler than the DIY bookmarks! 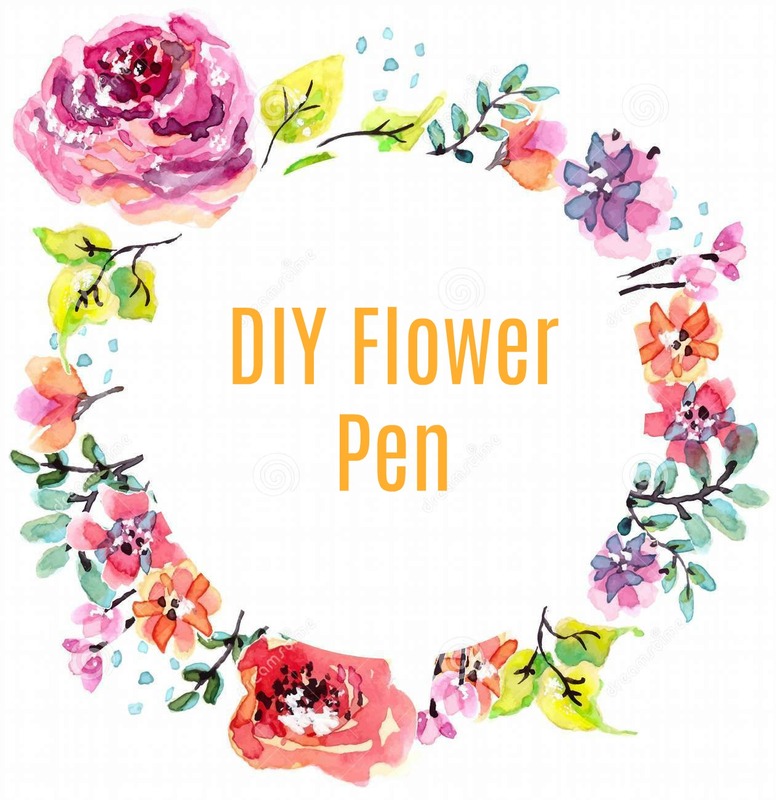 And you'll look super cute scribbling down all your notes with you DIY Flower Pen!